Lowdown: A dude goes inside “computer world” to rescue his company/father/computer. Back in 1982 there was a revolutionary yet bland film called Tron. It had people fantastically transported into the inside of a computer where the operating system and hardware worked in a very human civilization like way, putting the people in danger and creating a nice plot. The trick with Tron was its use of state of the art computer graphics in order to create the inner computer world. I remember how Byte magazine, which I was reading at the time, celebrated the integration of computer graphics to this feature film with much bravado. Needless to say, by today’s standard those advanced graphics look pretty miserable. Which is where Tron Legacy steps into the picture: it is an attempt to bridge the gap between 1982 and 2010 by filling in the story since, showing what happened to the characters while updating the technology. It certainly manages in the technology department by creating a very impressive looking film; it also very much fails in the story department, where we have ourselves yet another bland and totally forgettable Hollywood blockbuster. 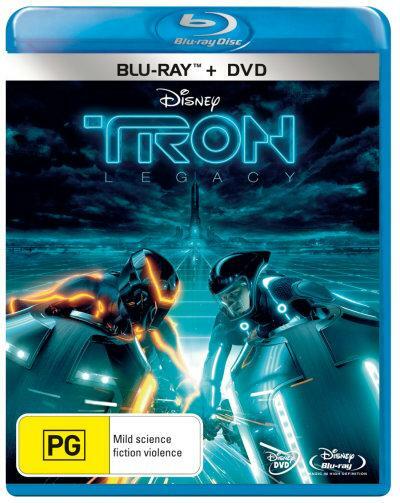 Tron Legacy takes place in modern times, thirty years after the events of the former film took place. Jeff Bridges’ character from that old film has gone missing, leaving other characters – not as devoted to his ideals but rather money worshipers – to run the company for him. Indeed, they run a company that we’re obviously meant to hate and which is modelled half way between Apple and Microsoft. Bridges’ son is the company’s biggest shareholder, but he’s not into business. All he does is break the company’s yearly release celebrations with some sort of a prank (you think they’d expect it by now, but they don’t). Interestingly, as a Linux user, I have to add the these pranks call for sharing software for free as means to make the world a better place – hooray! The Linux story is not the main event, though. The main event is how the latest prank gets our childish hero to visit the insides of a computer the way his father did, learn what happened to his father, and on the way free computer world from a tyranny. Nothing is unlike the previous film, it’s all just enhanced for looks (including the token female characters, where the word “enhanced” is more than suitable when describing them). As impressive as it may look, Tron Legacy fails to engage. Things start from the way the film fails to explain anything, totally relying on us being familiar with the previous Tron. Even the philosophical conflicts at its core, the struggle for perfection at all costs and the conflict between a creator and their creation, are conveyed in a manner rendering them irrelevant. Throw in some blatant and unashamed product placements (really, does Nokia still make mobile phones?) 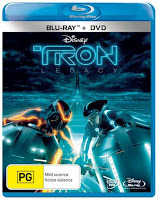 and Tron Legacy turns out to be the definition of an uninspiring sequel – “more of the same only bigger”. Yet Tron Legacy's biggest failure is character development. Or perhaps, as a way to imitate the binary world of computing, we are meant to settle for binary style characters? One of the key characters in Tron Legacy is computer made, meant to look the way Jeff Bridges did back in the eighties. It has been generated through computer graphics, in a manner not unlike Gollum was (that is, computer animation was applied over live footage of a person wearing a suit with sensors). The problem is that this character looks awful. Viewers can appreciate an artificial character when it is clearly not human (e.g., Gollum); but when the character is meant to pass for human but clearly doesn't – it’s just not good enough – the effect is very creepy and distracting. Sadly, that is exactly what Tron Legacy delivers, especially when the character I’m talking about is at the center of the film. Technical assessment: Presentation wise, this Blu-ray is second only to Avatar. Overall: Lovely to the eyes and the ears, yet totally deflated as far as film art is concerned. 2.5 out of 5 stars.